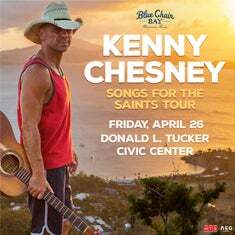 Country music superstar Kenny Chesney is bringing his Songs for the Saints 2019 Tour to the Donald L. Tucker Civic Center on Friday, April 26th at 7:00PM with special guests David Lee Murphy and Caroline Jones. Ticket limit is set at 8 (EIGHT) tickets. 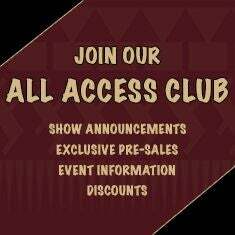 VIP Packages also available. Parking is $10 in the main lot. Cash only.